Your custom manufacturer for Awnings & Pergolas, Canvas Awnings, Commercial Awnings, Retractable Awnings, Aluminum Awnings, and Aluminum Pergolas. We also manufacture Drop Shades that protect from the sun coming in when you don’t want it there. We make your outdoor living space more comfortable to enjoy. Shade is our business! 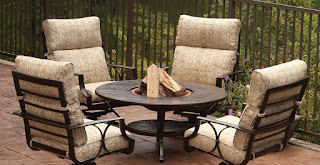 We sell the highest quality patio furniture in the outdoor furniture industry. Accent your outdoor experience with the most comfortable items to relax and enjoy your living space. It doesn’t end there. Huish’s also makes custom canvas products such as custom boat covers, BBQ covers, tarps, trailer covers, trampolines, and much more! Huish’s also manufactures stage curtains and draperies for church’s and schools throughout the nation. We know fabric and the sewing industry! We have been serving the communities of Utah and the surrounding areas since 1936. Feel free to contact us if you have any questions.